In my opinion Anastasia Soare is the unrivalled queen of eyebrows. I'm obsessed with both her Tinted Brow Gels & the Brow Wiz pencils. Unfortunately we don't have any Anastasia Beverly Hills counters in the UK & therefore the selection of products available is relatively limited. BeautyBay & Cult Beauty are currently the only UK websites you can order them from. Luckily they both stock one of Anastasia's most innovative products - the DipBrow Pomades. MAC, Tarte & Laura Mercier all do similar products but if there's an Anastasia version, that's the one I'm gonna buy. 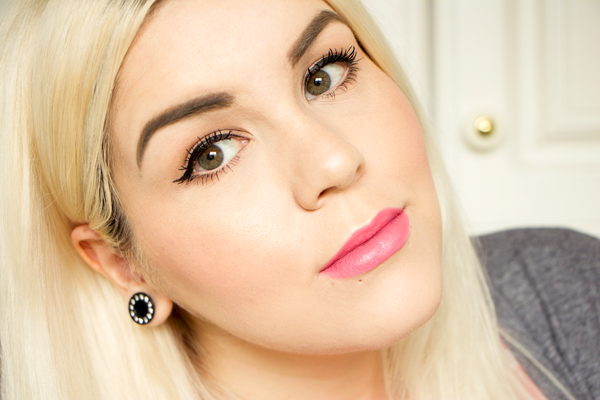 If you like your brows big, bold & beautifully defined then this is the product for you. DipBrow Pomade is a waterproof, smudgeproof creamy brow colour that offers the ultimate definition for your eyebrows. The product simply glides on and stays put all day along. It does not budge! I find it really easy to apply & it gives such an effortlessly flawless finish. The best method of application is with an angled brush. I use the Laura Mercier Double Ended Eye Brow Brush but any angled brush will do. The flat edge of the brush allows you to get a precise & clean line so your brows look perfectly groomed. I've also used the Real Techniques Silicone Liner Brush to fill in any little gaps & it works surprisingly well on my eyebrows. You can use it to get a really finely tapered tail too. Even though the Pomade beefs up my skinny brows quite a bit, they don't look overly drawn on. There's still something natural about them. The product adheres to the brow hairs for optimal definition so it gives the illusion of naturally fuller brows. 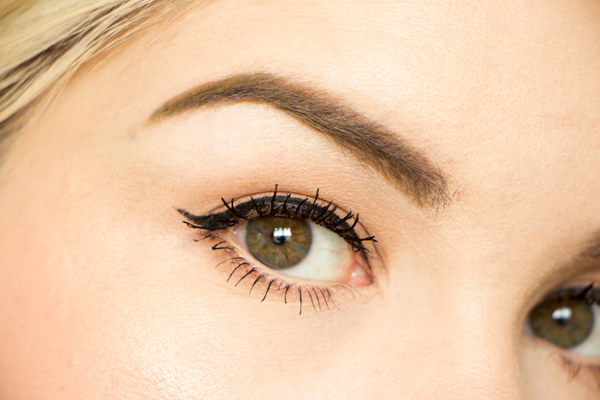 To further enhance my eyebrows I like to use a bit of concealer above & below them. This makes the shape look even cleaner & is good at hiding anything your tweezers might have missed. My one gripe about the DipBrow Pomades is that the colour range isn't quite as good as that of the other Anastasia products. The Tinted Brow Gel in Granite & Brow Wiz in Medium Ash couldn't be better matches for my cool toned blonde hair & brown eyebrows but it was much harder to figure out which DipBrow Pomade to go for. The question I see others being asked most about this product is which shade should they buy so it seems I'm not alone in my colour match confusion. After much deliberation I went for Blonde as the three brown colours were horrifically dark. Blonde looked like a transformative taupe that could be built up to suit each person, much like MAC Omega eyeshadow which is one of my favourite brow powders. There are a lot of yellow tones in Blonde though and even when I layer the product on, the colour isn't quite right. It's ever so slightly too light & too yellow when you look up close. The colour is a warm taupe rather than the ashy taupe I was hoping for so it would be better suited to those with natural blonde hair. It's still fairly dark though so I'm glad I didn't go for one of the brown colours. I feel like I would need to mix Blonde & Dark Brown to get my perfect colour. Instead I've been using Blonde as a base & then I go over any lighter bits with a brow powder or pencil. That way I still get the smudgeproof clean finish of the DipBrow Pomade but the colour is slightly improved. If colour matching isn't an issue for you then I couldn't recommend these enough! No matter how rubbish your natural eyebrows are these creamy gels can sculpt them to perfection. These pots of colour are incredibly pigmented so you only need to use tiny amount each time. I love the luxurious looking glass jar it comes in, Anastasia's packaging always looks gorgeous. They're well worth the £15. If you're after immaculately defined eyebrows without looking like you've gone a bit mad with a Sharpie then look no further - Anastasia's DipBrow Pomades are the one. omg i really love this colour! It looks great, i love the natural finish of this product! Your complexion looks flawless! I have been eyeing up this product on cult beauty but not 100% sure as I dont like buying makeup online unless I have seen it in person!